Even though Ambrose Furniture has grown a great deal over the last 60+ years, it still remains a family business. When H.H. Ambrose opened Ambrose Furniture in 1946, he gave up a life as a traveling preacher. But the values that he preached about – honesty, reliability, thoughtfulness – became a deeply instilled business philosophy which is still alive and well at Ambrose Furniture. In 1984 the business expanded beyond Elizabeth City when H.H’s son, Marion & his wife Betty opened the Kitty Hawk store.In 1988 they opened the largest store in Coinjock. Now the stores are owned and operated by Marion and Betty’s sons, West and Barry. Were our grandfather alive today, I think he’d be very proud of our success, but I think that he’d be even prouder of how we conduct our business. We haven’t lost the personal touch that so many people are grateful to discover. Barry Ambrose grew up in the family business his grandfather started in 1946. As a toddler, his father promoted mattress sales by putting him in the front window for his naps. By age 10 he was helping out on the sales floor and worked Saturdays and summers through high school. In 1983 Barry graduated from East Carolina University with a degree in Theatre Arts. 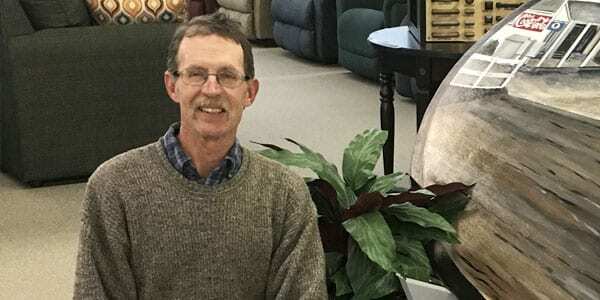 His training included an extensive study of design and improvisational thinking and he brings that creative ability to all aspects of the Ambrose Furniture business today. The minute you walk into any of the stores you can tell you’re in for something special. Barry invites you to come in and see him at the Kitty Hawk location. 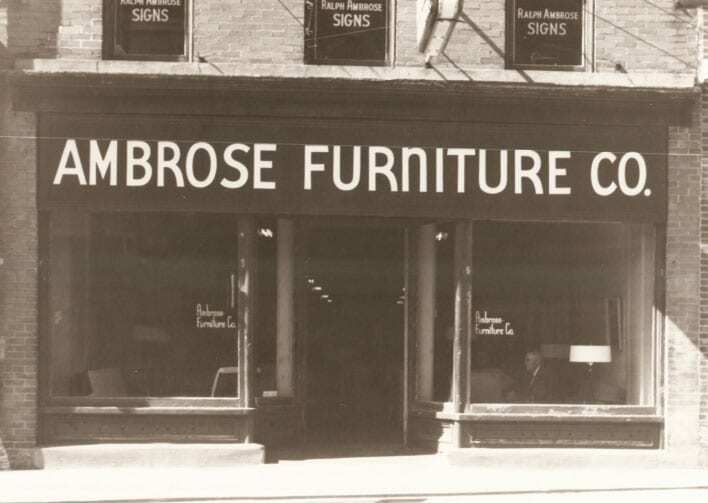 West Ambrose began working at Ambrose Furniture at age 13 and actually helped build its current Elizabeth City location. After attending East Carolina University, he began working full time selling and delivering furniture. During this time, he met and married Ruth Morris, a native of Currituck County. They remain happily settled in Coinjock where West is responsible for the seamless behind the scenes operations at Ambrose Furniture. If he doesn’t have his hands on every piece of furniture that comes in and goes out – you’d better believe he has his eye on it. Hi! I’m Moxie Ambrose, the official mascot of Ambrose Furniture, and I’d like to welcome you to our website. A lot of you have asked about me so let me tell you a little about myself. First off, I’m a Soft-Coated Wheaten Terrier (though many think I’m some sort of doodle dog) and I was born on May 5, 2009 just outside of Fredericksburg, VA. Since I was the only pup in the litter my mom didn’t hang around much to feed me, so the very nice lady that was always poking around put me with a Cairn terrier who had just had a litter and I nursed with them. I ran and played a lot and was very happy there. I soon learned to trust my daddy, Barry, who is now my very best friend in the whole world. He began to take me to work with him every day at Ambrose Furniture. I have so much fun there! Everyone is so friendly and I get to say hello to everyone that comes in. I also get to try out all of the new furniture that feels so good and soft and comfortable, and – though I’m only a dog – I can tell it’s all really pretty and colorful. And when I get tired of my duties as the official mascot, I go to sleep at my Barry’s feet. Oh – one other thing! In my off time, I’ve become something of a beach bum. I LOVE the ocean!! Now what could be better than that? Don’t I have the best life? Thanks again for checking out our website… and please stop by to see me when you’re near the store in Kitty Hawk. I’ll be waiting!